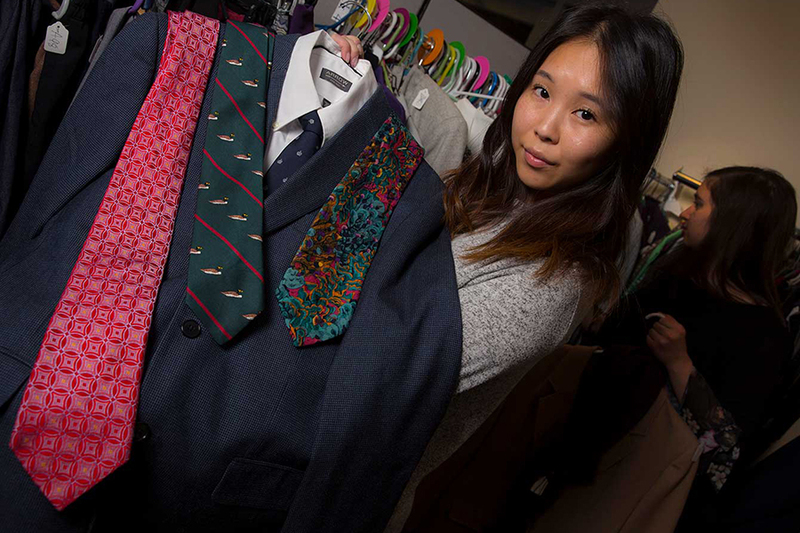 The Warhawk Success Closet, which is now open in the University Center, provides students access to FREE professional and workplace-appropriate attire. Looking for that extra boost of confidence? Stop by and see what the Warhawk Success Closet has to offer! Open Monday-Friday, 8 a.m.-5 p.m. or by appointment, the Warhawk Success Closet is located in room 146 of the University Center (Career and Leadership Development Office). Students are welcome to stop by and check out everything the closet has to offer. Help transform the lives of other Warhawks by donating your gently used professional attire to the Warhawk Success Closet. The closet provides UW-Whitewater students access to FREE professional and workplace-appropriate attire. Donations can be dropped off at the Alumni Center. Amy Yang, graduate student, has been promoting and developing the Warhawk Success Closet with the student involvement office. Please contact her for more information at YangAT25@uww.edu.